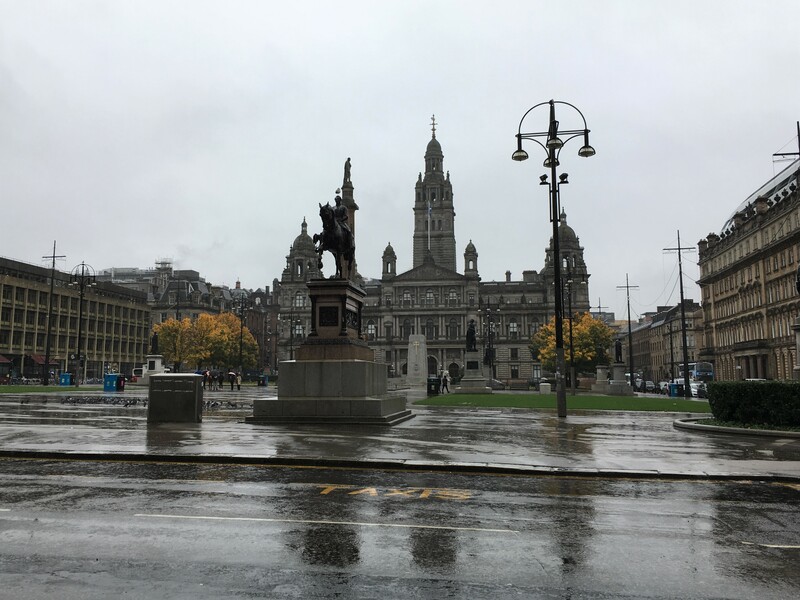 On the second day of my trip, I took the train from Glasgow to Edinburgh. It’s about an hour-long trip and the train was fairly comfortable. Still being a bit jet-lagged, I may have napped a bit on the way. 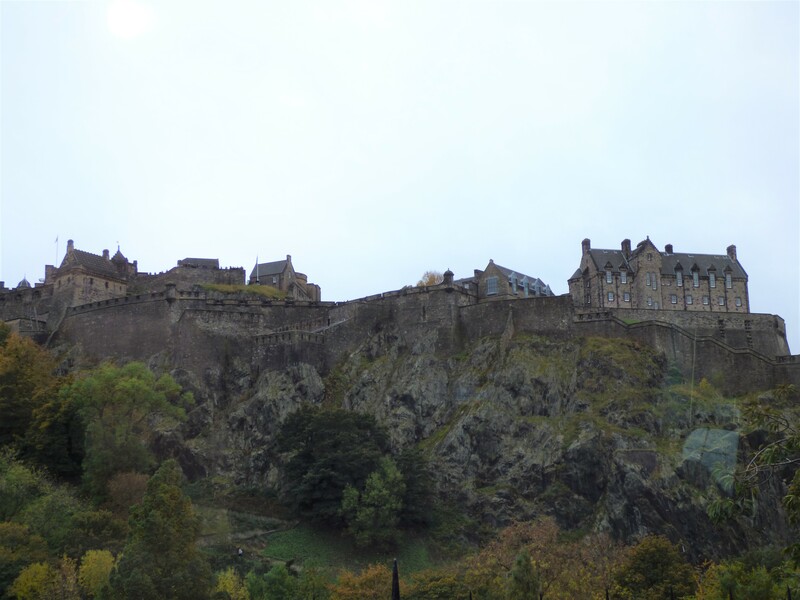 Upon arriving in Edinburgh, I dropped my bags off at the hostel I had booked. I couldn’t check in yet since it was still morning, but they agreed to store my suitcase for me until check-in. 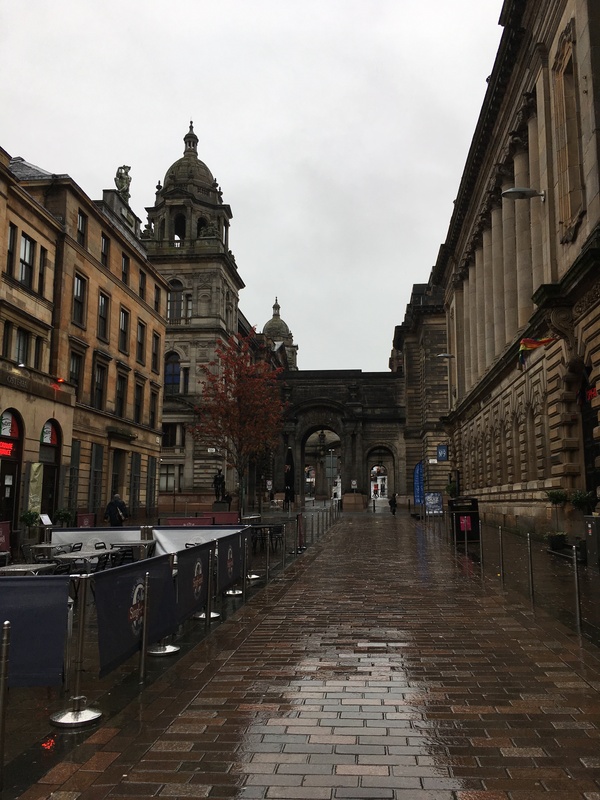 I had cut it a little close for the bus tour I had scheduled at 12:00, so I grabbed a very quick bite to eat at a cafe before heading to the bus stop for the Rabbie’s City Tour of Edinburgh. Although the tour can be up to 16 people, it was just me and a couple from England. 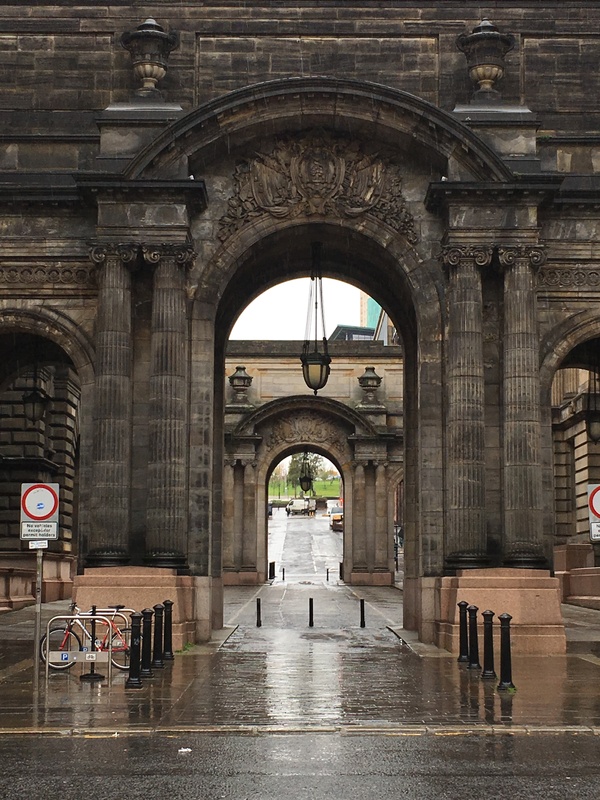 The tour was about 2 hours long and drove us through the various parts of Edinburgh, providing history and interesting tidbits. 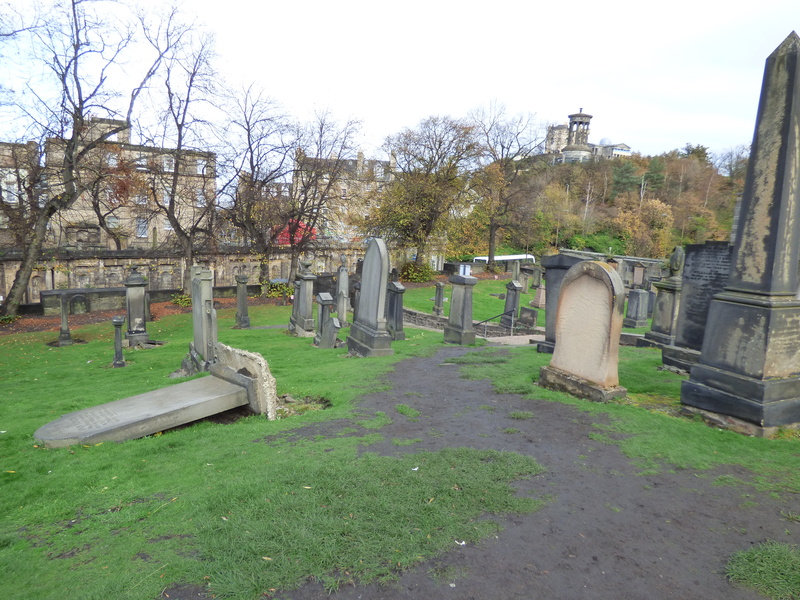 The bus tour started and ended along Princes Street, and when I got off the bus, there was an old cemetery right by the stop, so I decided to check it out. 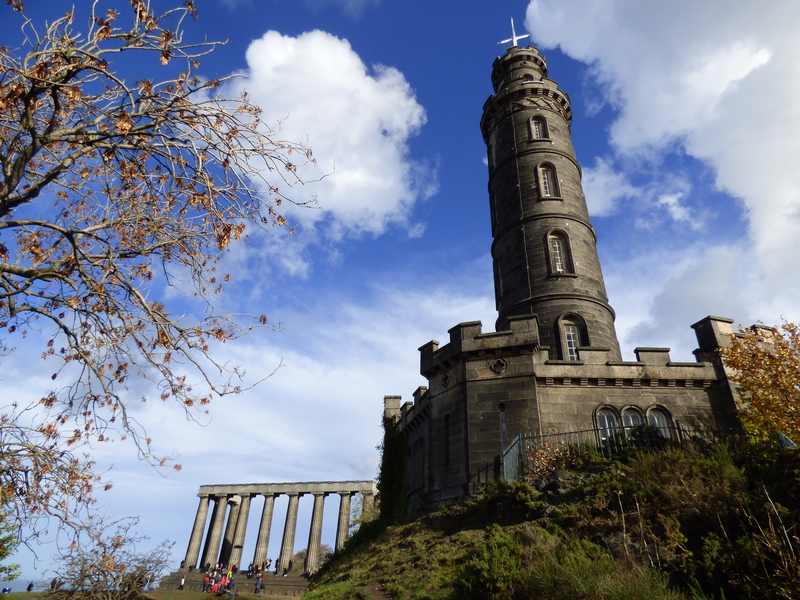 From there, I walked a short while to the hill where Stewart Monument, Nelson Monument, and the National Monument. 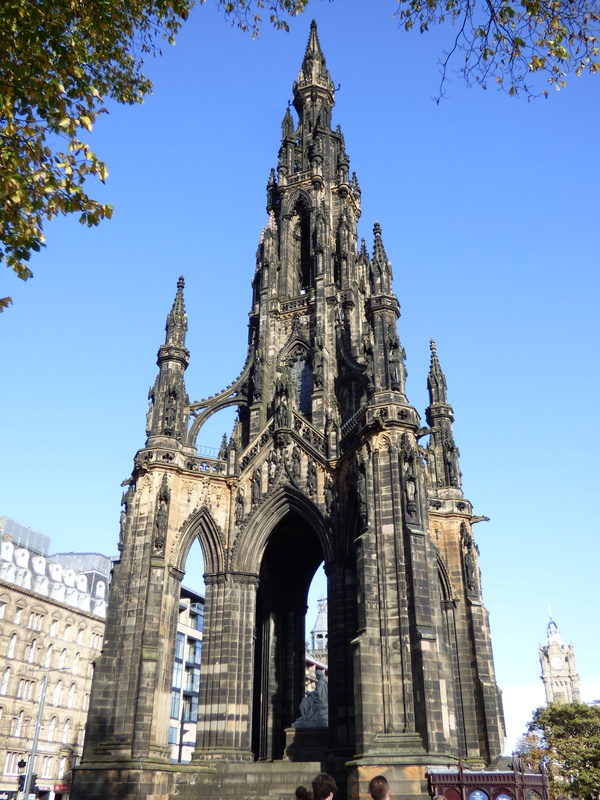 The Stewart Monument was built as a memorial to Dugald Stewart, who was a Scottish philosopher. 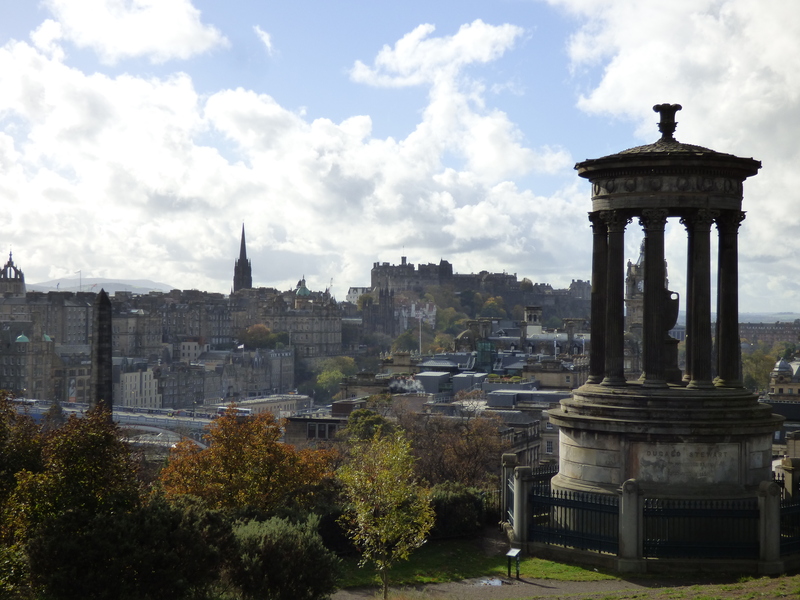 The monument overlooks the historic part of the city and the views are absolutely stunning. 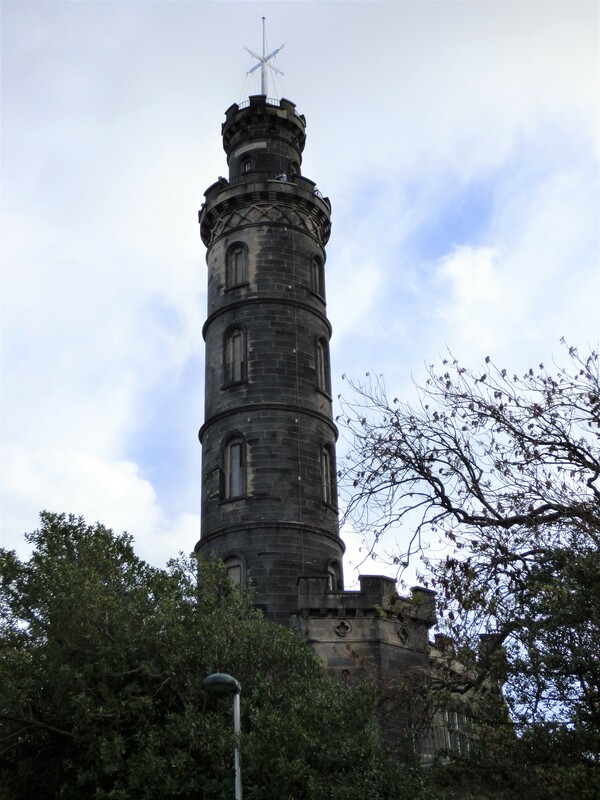 The Nelson Monument is a tall tower built to commemorate Nelson’s victory at Trafalgar. You can pay to walk up to the top, but I chose just to view it from the bottom. The National Monument was meant to be modeled after the Parthenon in Greece, but was never completed due to lack of money. 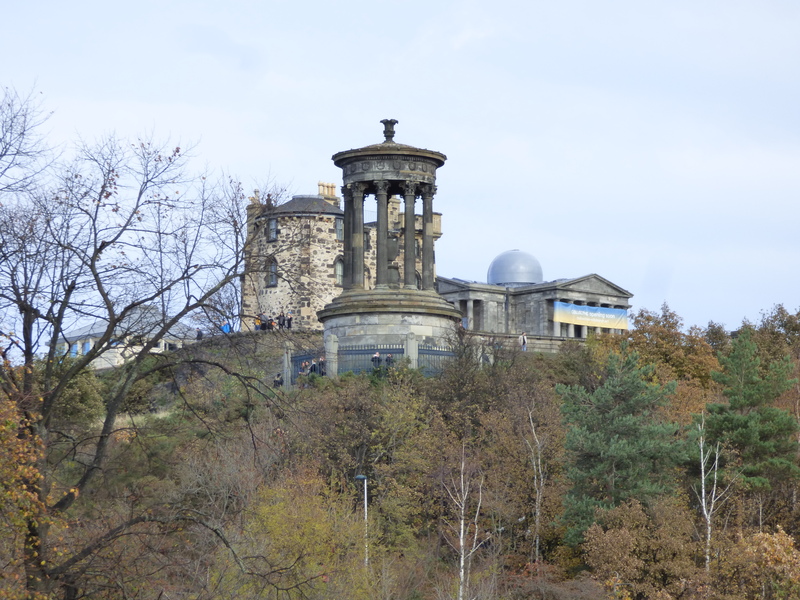 From there, I walked back down Princes Street, which is the main road in Edinburgh, and walked past the Princes Street Gardens and the Scott Monument. 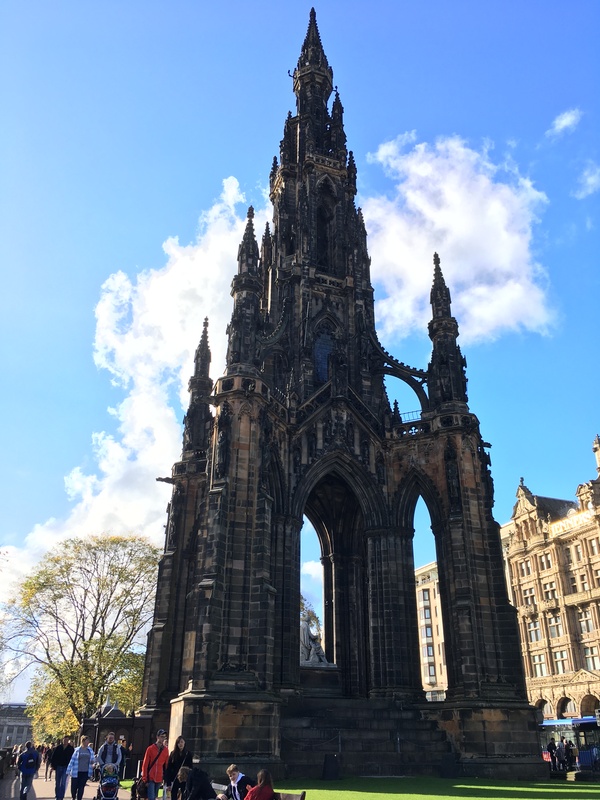 This monument was built as a memorial to the writer Sir Walter Scott, and is referred to by locals as the “gothic rocket” because it does, indeed, look like a rocket built during the Gothic architectural period. 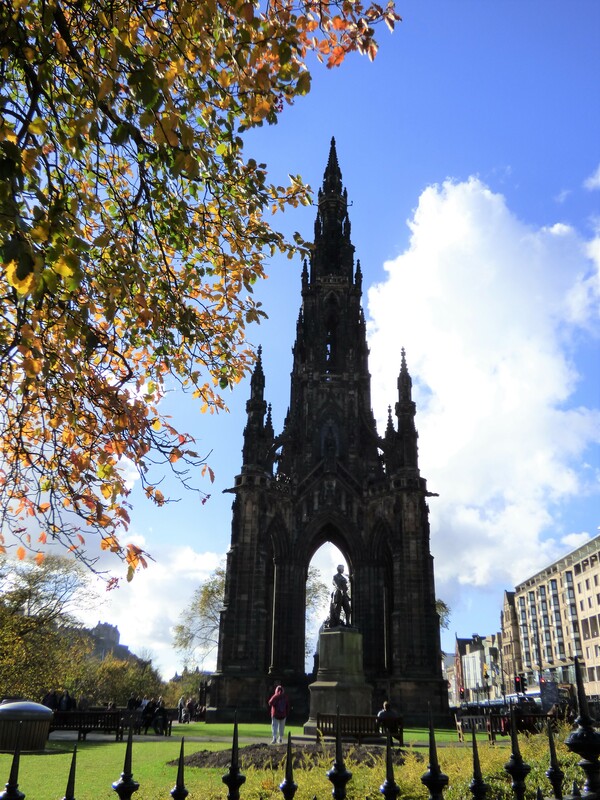 It’s a stunning memorial, and the largest memorial in the world dedicated to a writer. There’s the option to pay admission to walk the 287 steps to the top, but I chose not to. 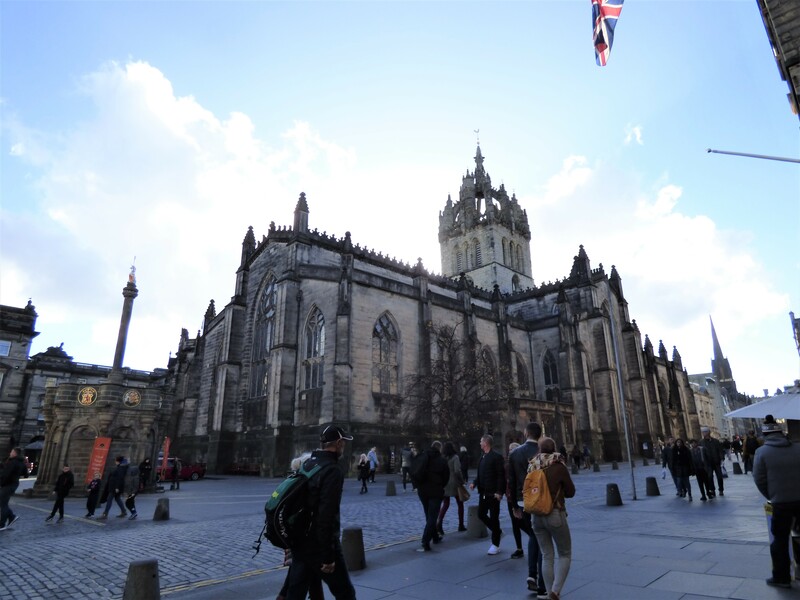 I headed over to the Royal Mile, which is the road that stretches between Edinburgh Castle on the hill and the Palace of Holyrood down below. It’s actually longer than a mile and is the main street of the “Old Town”. 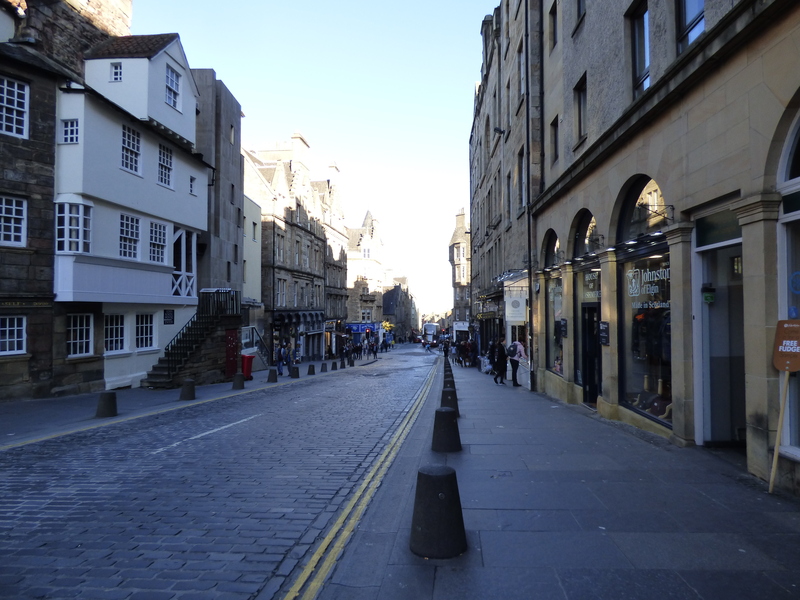 This is the oldest part of Edinburgh, and the first buildings in this section of the city were built beginning in the 12th century. The buildings are built side-by-side, with “closes” between them. Closes are small alleyways between the buildings that functioned as small streets for those that lived in the buildings. 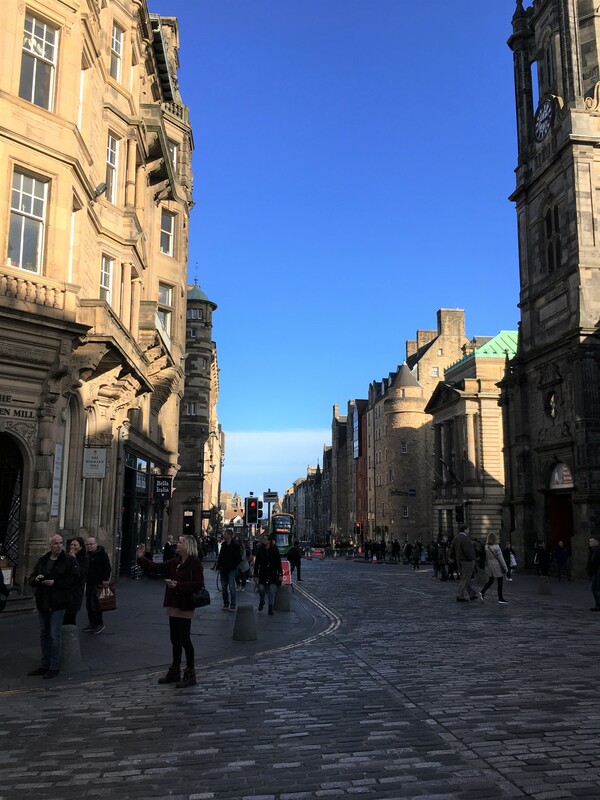 The world’s first buildings above 4-5 stories were built here, and by 1645 there were buildings as tall as 14 stories and over 70,000 people lived within the royal mile. 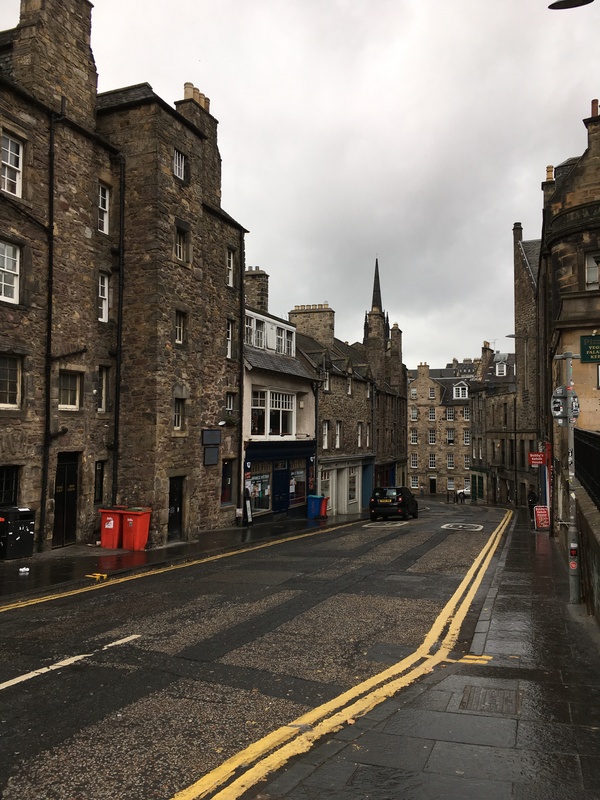 After walking up and down the royal mile for a while, I decided to see if I could get a ticket for Real Mary King’s Close. 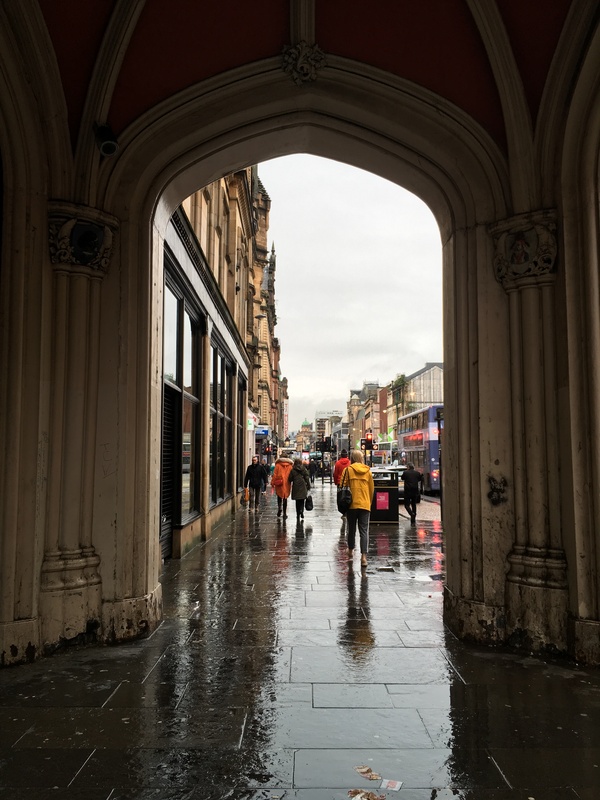 This tourist attraction takes groups underground to see where Mary King’s Close once was. The buildings above where the tour goes were rebuilt for government buildings, but the underground parts were kept intact. 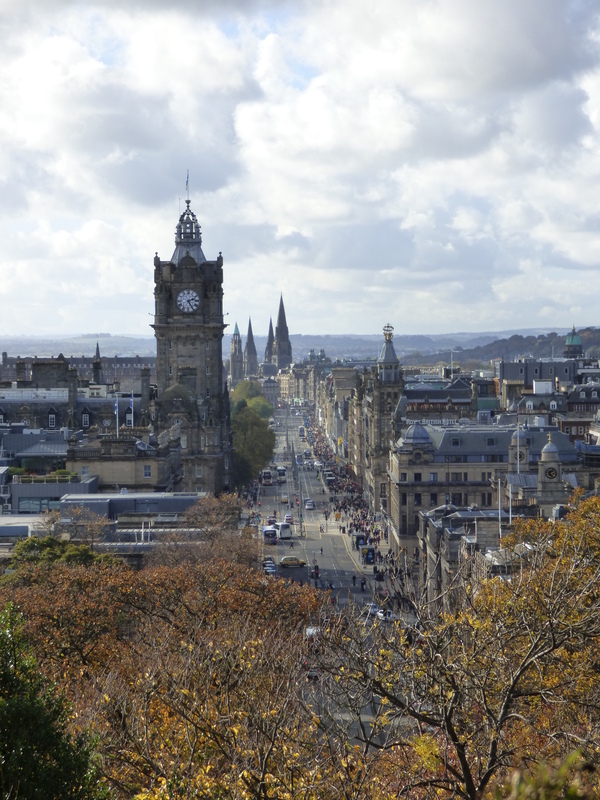 The closes along the Royal Mile were named for various prominent individuals. 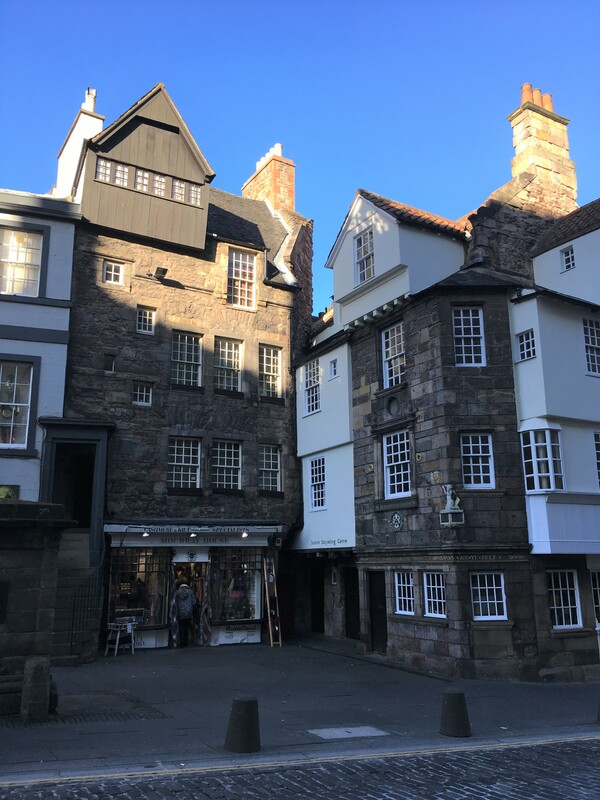 What makes Mary King’s Close so unique is that it is named after a woman. Mary King, following her husband’s death, became a prominent businesswoman in the 1630s. 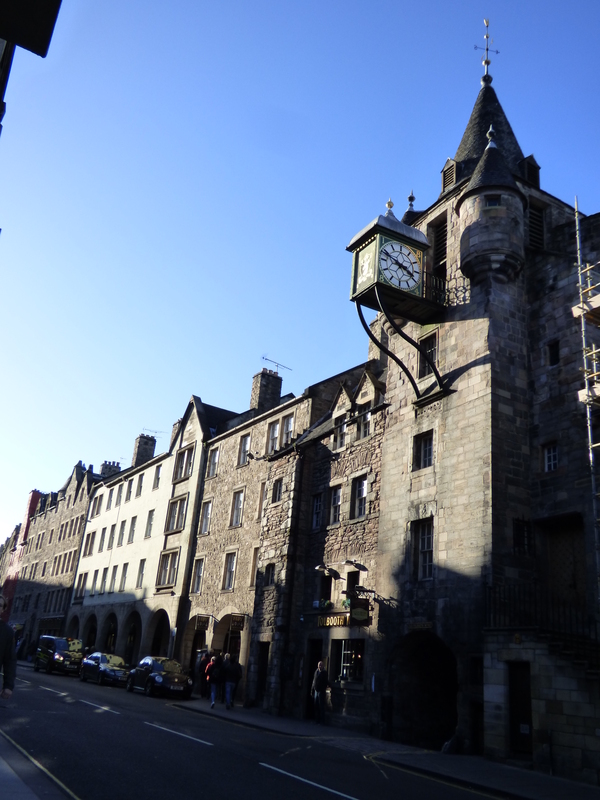 The tour gives a glimpse into what life was like along the Royal Mile in the 1600s. Photos aren’t allowed, but it really was an interesting tour! 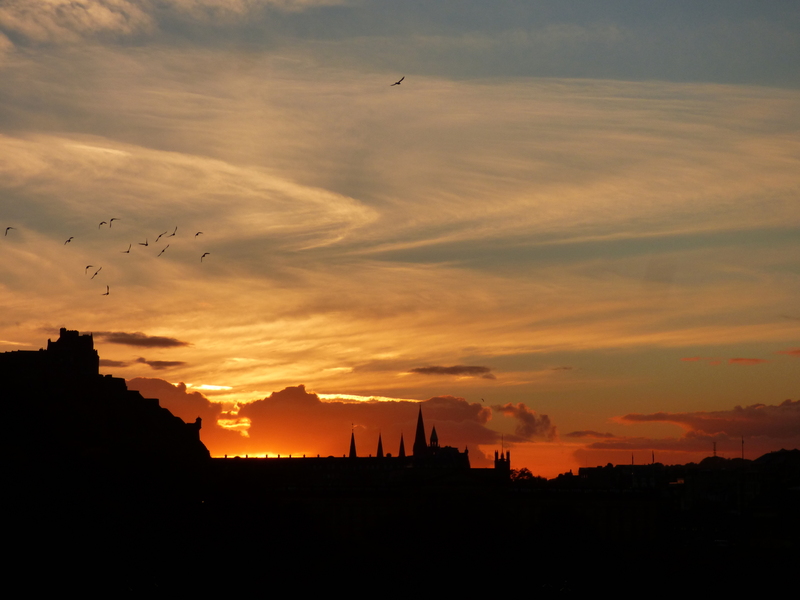 I had dinner along the Royal Mile, and admired the sunset over the buildings of both the Old and New Towns. 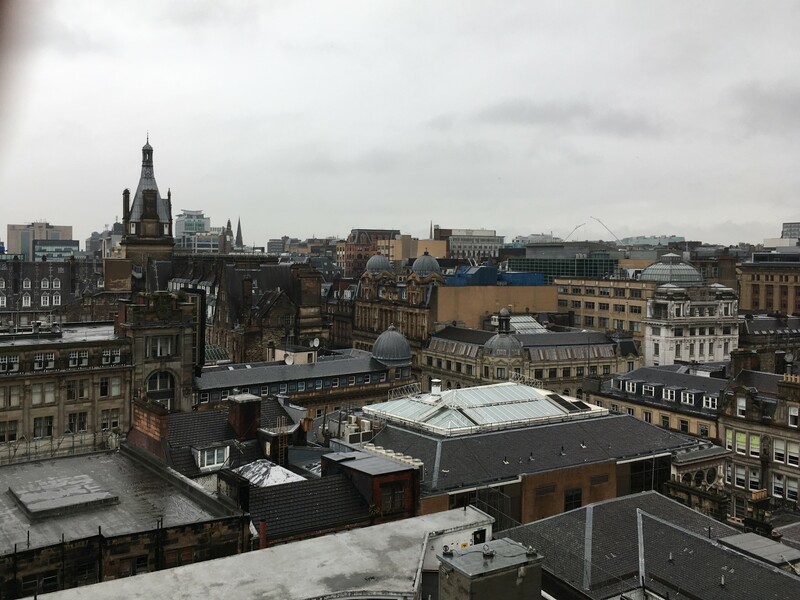 Despite flying to Edinburgh Airport, I started my time in Scotland in Glasgow. 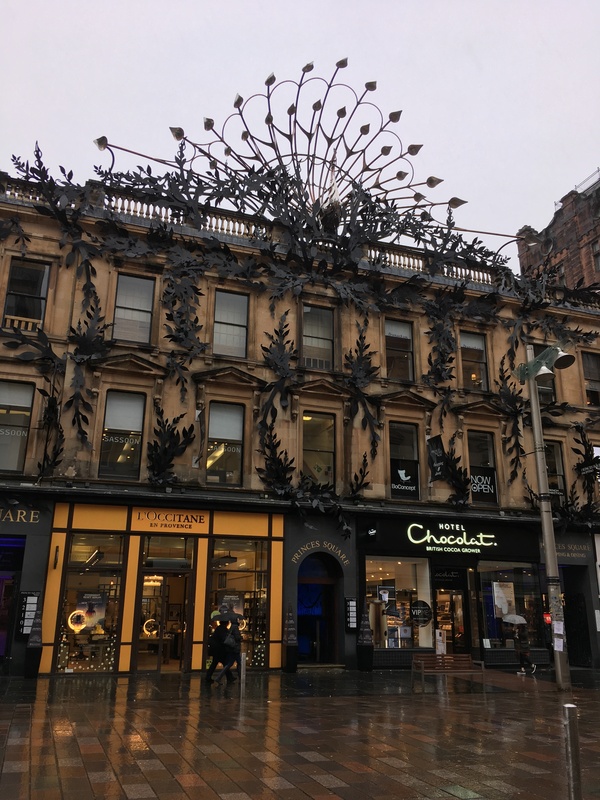 I wasn’t originally going to go to Glasgow, but when I was considering doing a road trip (and renting a car), I read that it was better to start in Glasgow rather than Edinburgh and booked my first night there. I later changed my mind about the road trip, but since I had already booked a place to stay, decided to start there anyway. 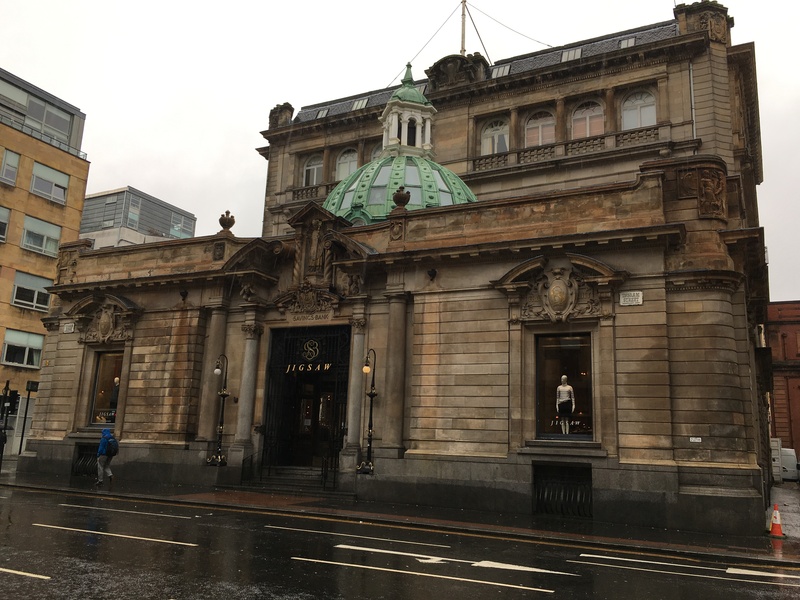 Although Edinburgh is a more popular tourist attraction, I really enjoyed Glasgow! I arrived mid-morning and got some food before setting out to explore the city on foot. It was a rainy overcast day, but it didn’t really damper the day much. 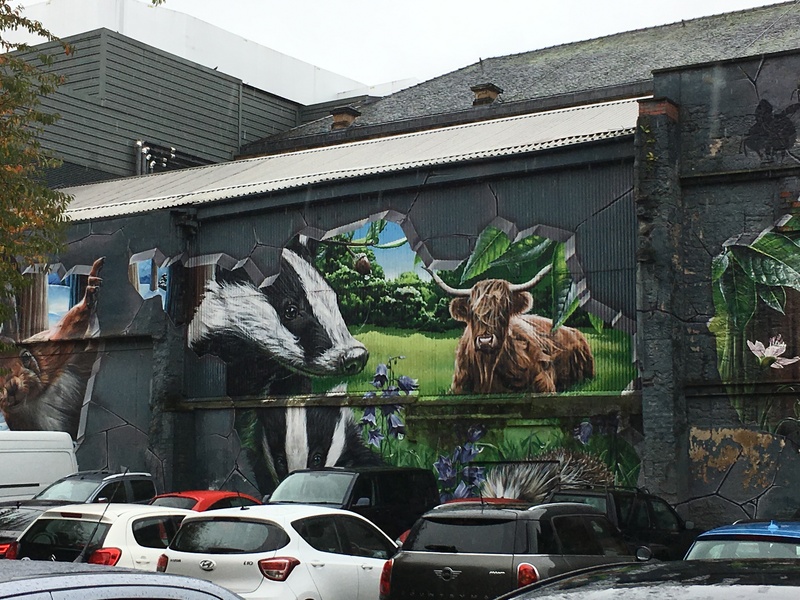 Glasgow was an industrial city and this is evident as you walk through the city. 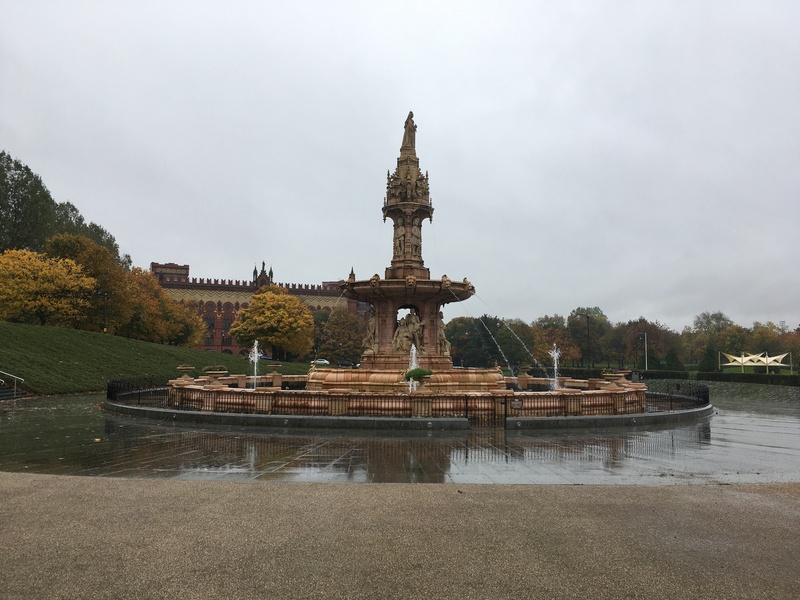 Despite this, there is a lot of interesting architecture, plenty of (generally free) museums, lots of large murals, and large parks. I actually didn’t manage to fit in everything I wanted to see and could have easily spent 2 days here. After walking down Buchanan Street, which is the main attraction for shoppers, I headed to George Square. 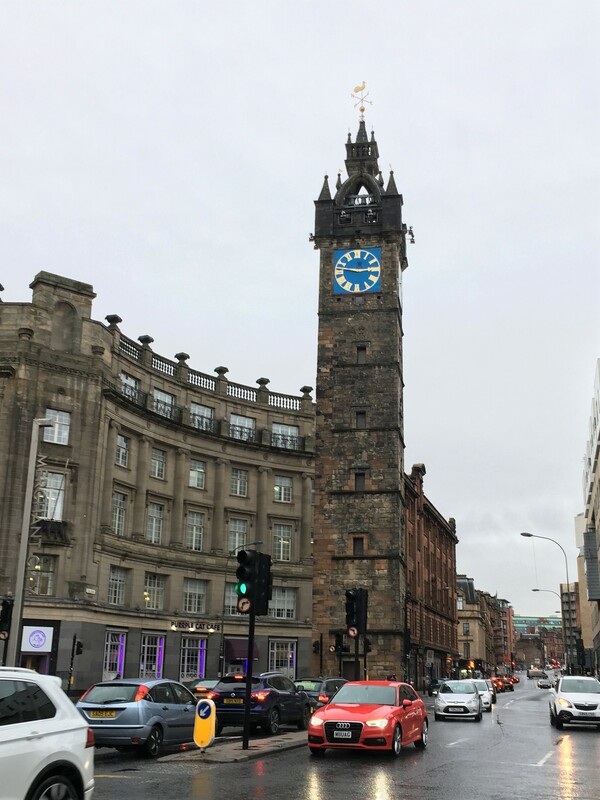 From there I walked toward Merchant City, hoping to find Tolbooth Tower/Steeple. 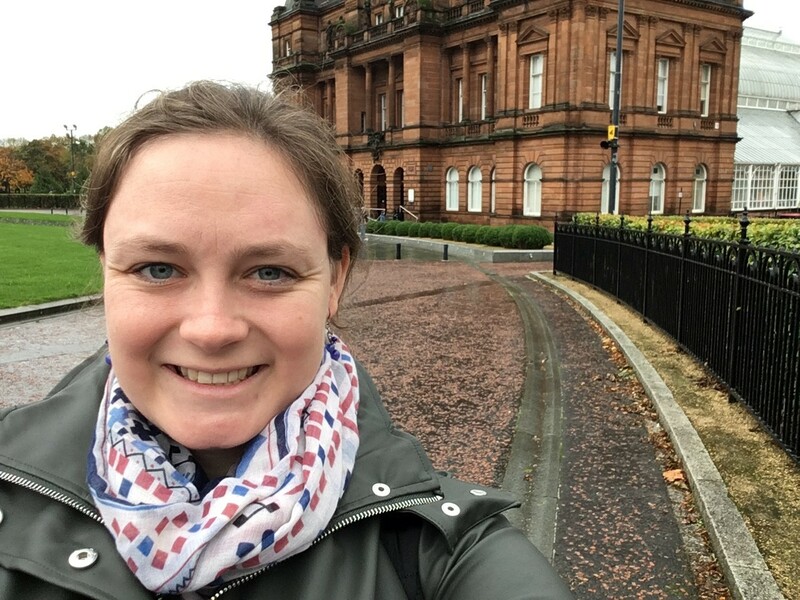 However, I got a bit lost, and realized I had walked almost to Glasgow Green, so I continued walking in order to visit the People’s Palace. 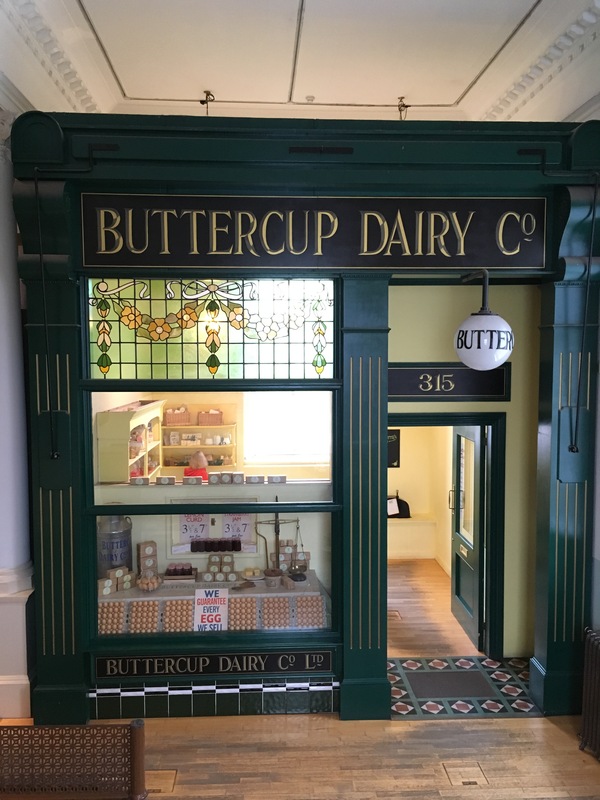 My cousin studied in Glasgow for a semester and had recommended this museum, and I really enjoyed it! 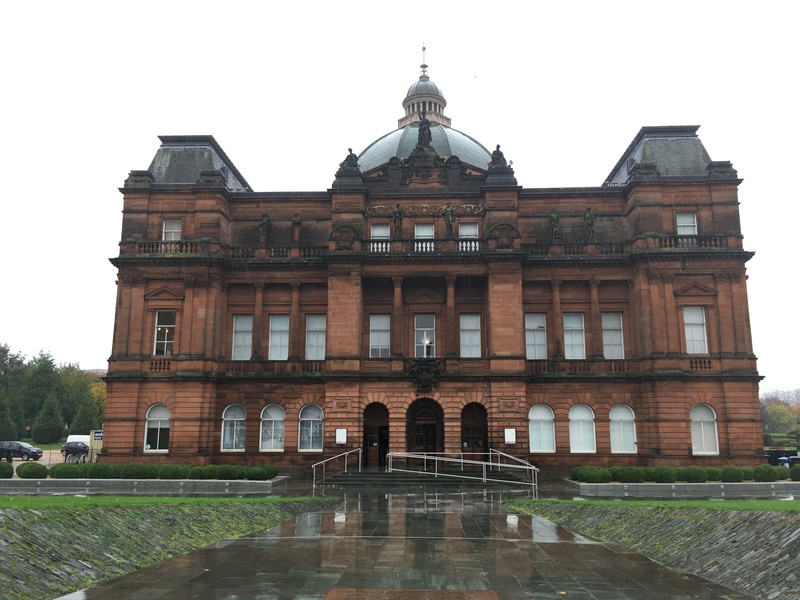 Admission is free and there are plenty of exhibitions that show what life was like in Glasgow at various points in the past. 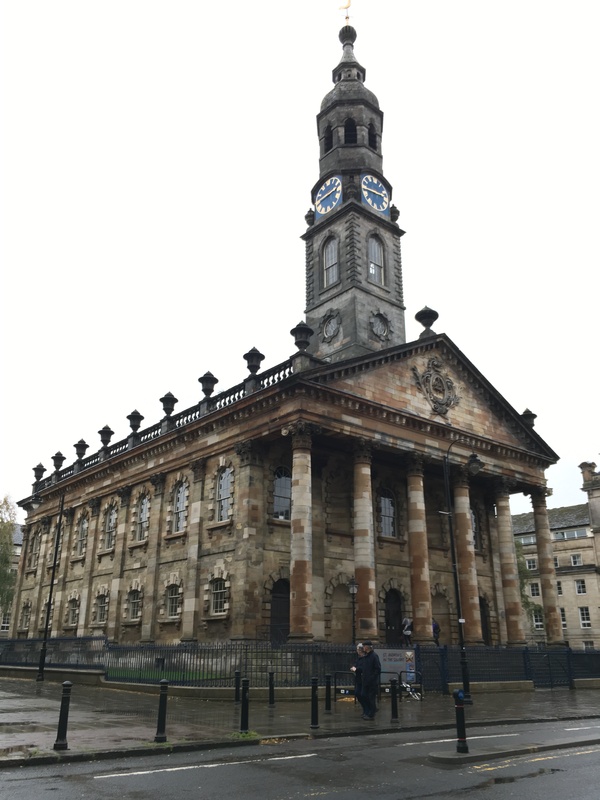 After a couple of hours at the People’s Palace, I headed back to Trongate Street and finally found the Tolbooth Steeple. After, I walked to The Lighthouse and climbed to the top for views overlooking the city. At this point, I was tired, so I headed to my Airbnb and stayed in for the night. 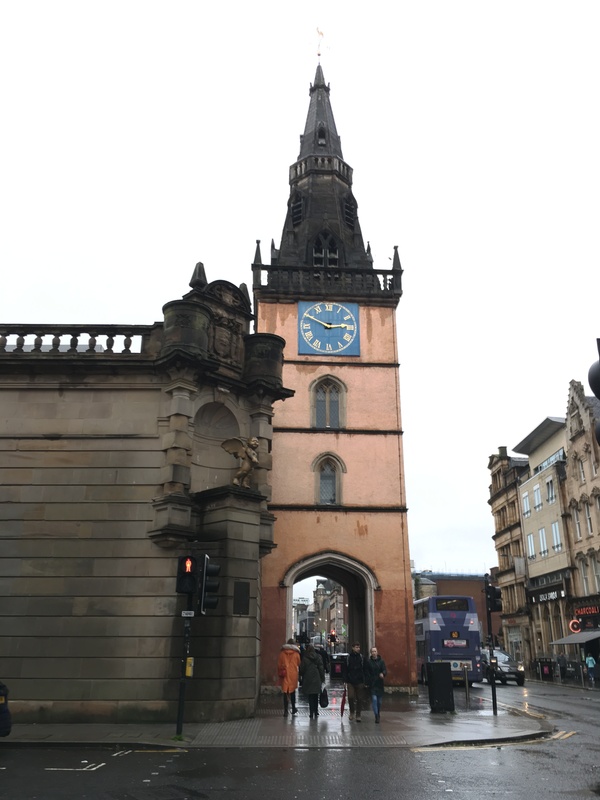 If I had more time, I really wanted to walk around the University of Glasgow and visit the Glasgow Cathedral and Necropolis. 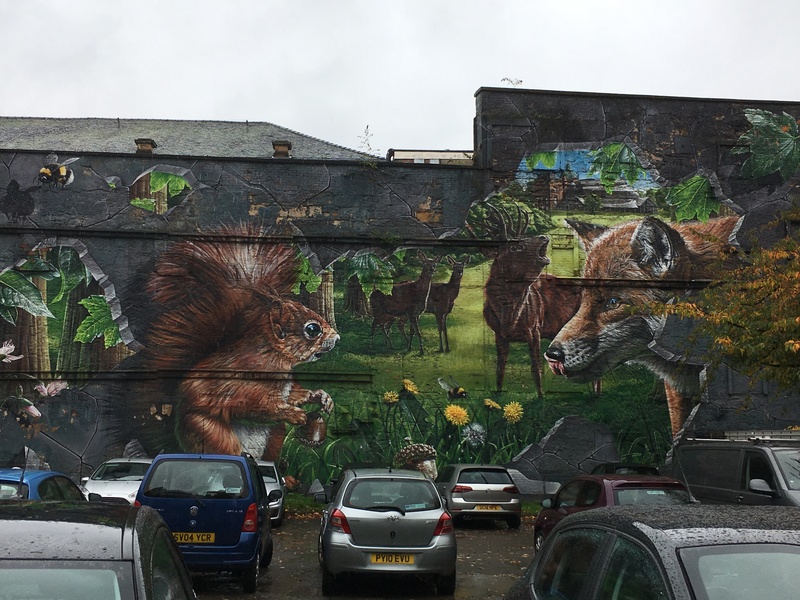 Although very different than Edinburgh, Glasgow is a cool city! 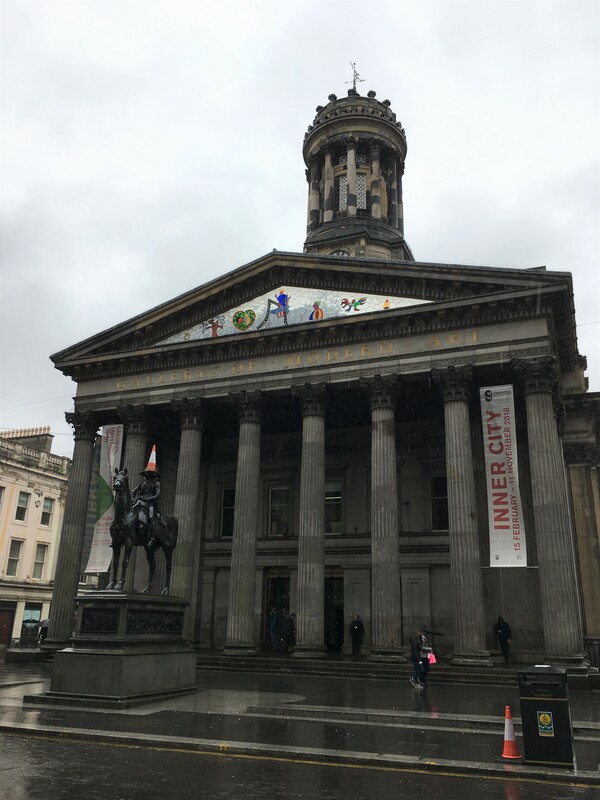 If you visit Scotland and have more than a couple of days, I highly encourage you to visit Glasgow as well. 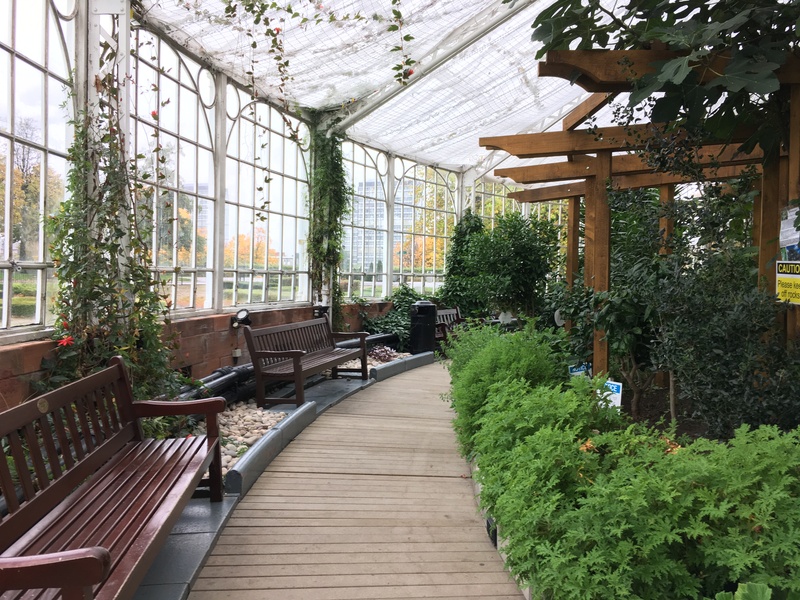 Tours: I have never thought I would like going on a bus tour, but also really didn’t want to rent a car (and because I’m under 25, it would have been insanely expensive). I knew I really wanted to go into the Highlands in Scotland, but the train schedules were limited since October is the off-season. 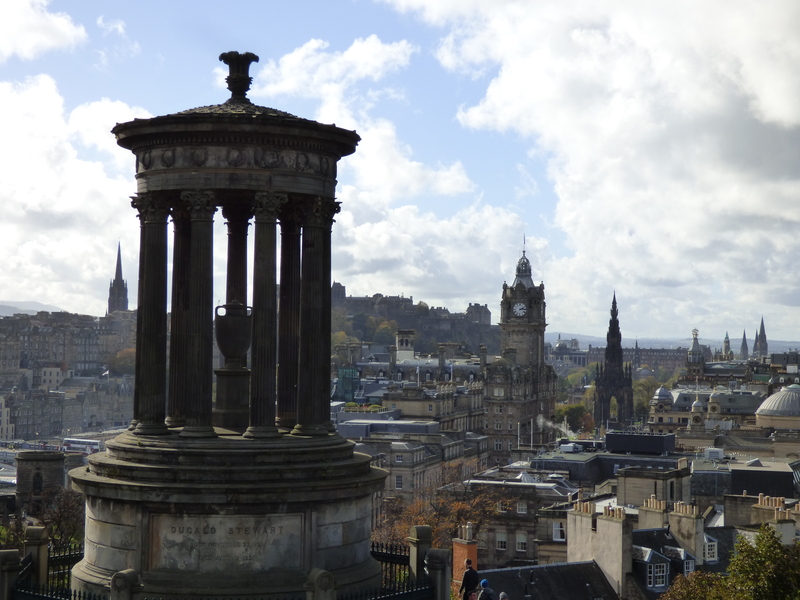 So, I looked into maybe doing a tour, and found Rabbie’s Tours. These tours are a maximum of 16 people and the reviews were excellent. I ended up doing 3 tours with them, and really enjoyed them! 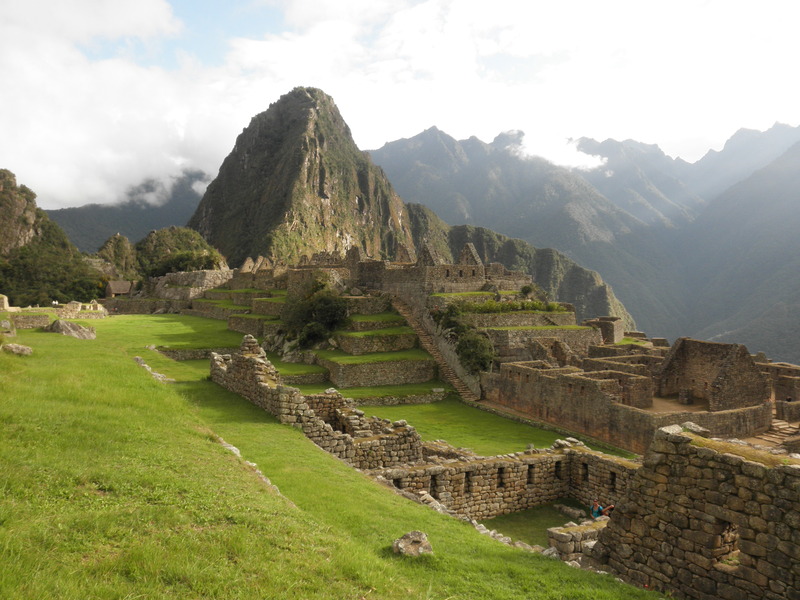 I’ll share more later about the tours and my trip in more detail. 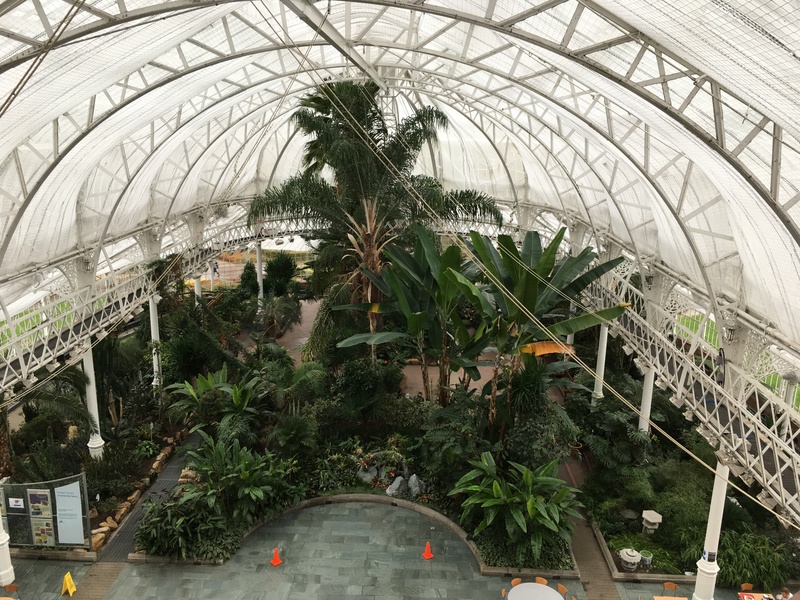 Transportation: I flew into Edinburgh Airport, then took a bus to Glasgow. 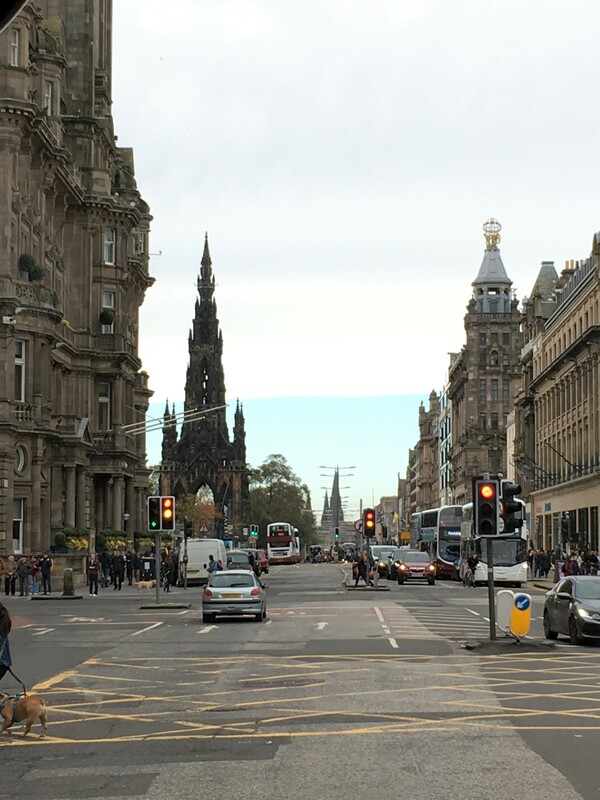 I took the train from Glasgow to Edinburgh, and a bus from Edinburgh city center to the airport at the end of my time in Scotland. 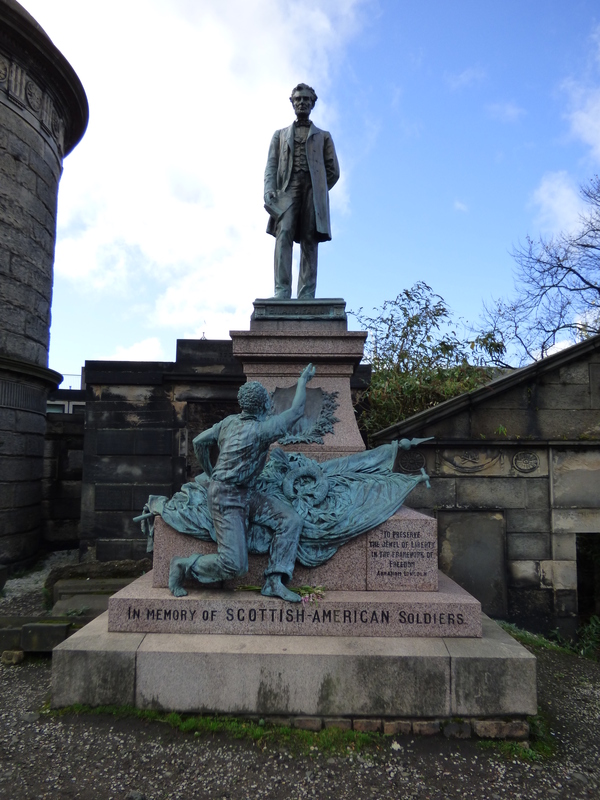 I flew from Edinburgh to Dublin, then again from Dublin back to the USA. 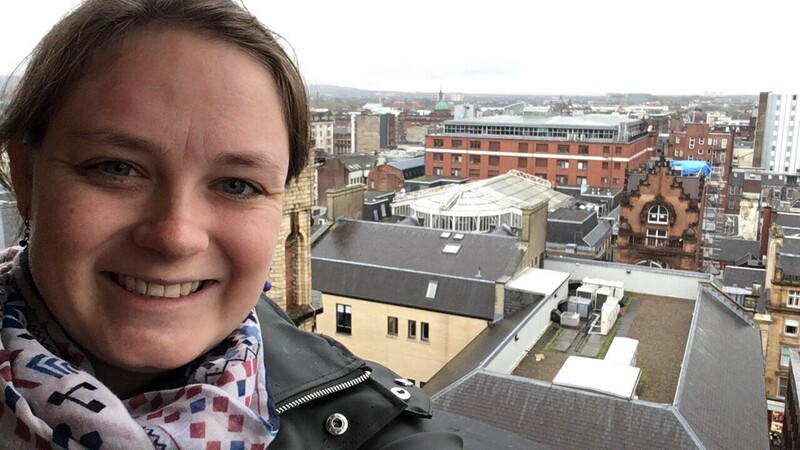 In Dublin, my sister and I traveled by bus or by foot.